Refrigerators. That’s what Iso was making before it broke into the fledgling microcar market during the Fifties. 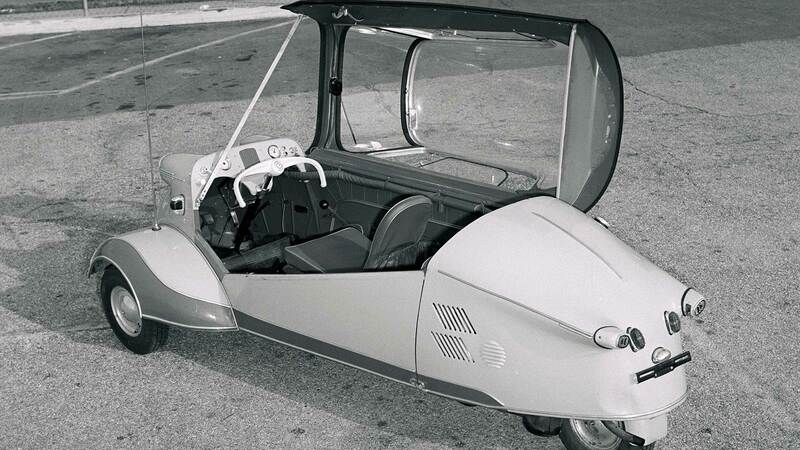 But the company’s debut vehicle, the Isetta, made a lasting impression. Seven feet long, four feet wide and powered by a chain-driven 236 cc motorcycle engine, this little bugger was as weird as weird got. The front-hinged pod door? That’s just a portal down the rabbit hole. Italian design extraordinaire Marcello Gandini first used scissor doors on the Carabo, a Bertone concept car for the 1968 Paris motor show. Six years later, his horizontal-hinge design finally made it onto a road-going model. The Countach stayed in production until 1990, undergoing numerous updates and reincarnations. But those glorious karate-chop doors never disappeared. Jean Bugatti’s Type 64 papillon doors laid the groundwork, but Mercedes-Benz perfected the gullwing design. The 300SL was an aesthetic revelation, and all in the name of function. High sills and an oddball alloy tubeframe layout meant horizontal-plane doors wouldn’t work, so Benz went vertical. The look has been copied endlessly, but never with the grace of the original. 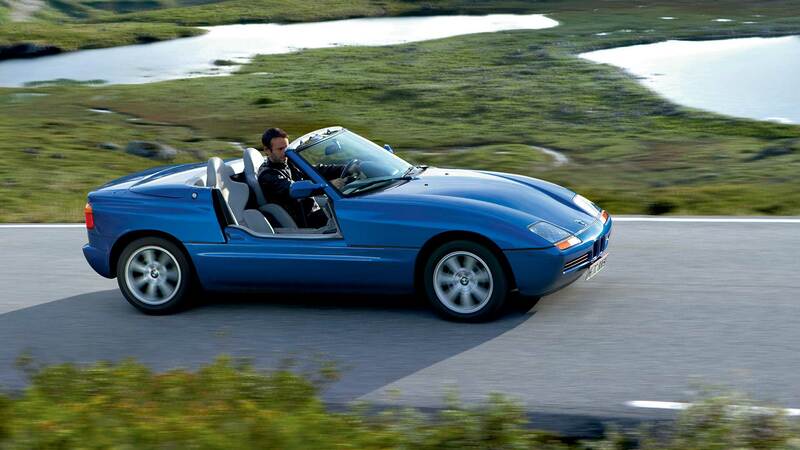 Underpowered and expensive, the oddball Z1 never hit home with BMW’s enthusiast demographic. As a design statement, though, the two-seater found its niche. For party tricks, you could do worse than the Z1’s electro-hydraulic drop-down doors. Somewhere between the Multipla and Continental, there’s the RX-8. Like a non-crewcab four-door truck, Mazda subtly tucked in a set of reverse-hinge bonus doors out back. Almost enough to make a rotary-powered sports car look practical. Almost. They come off. You can drive it without doors, guys. Really, what else do you need to know? Meet the godfather of supercar door design. The Stradale, a road-going version of the Tipo 33 racing car, wore doors that opened on diagonal hinges, a sort of middle ground between gullwing and conventional styles. And thus, Alfa introduced the world’s first production car with butterfly doors. 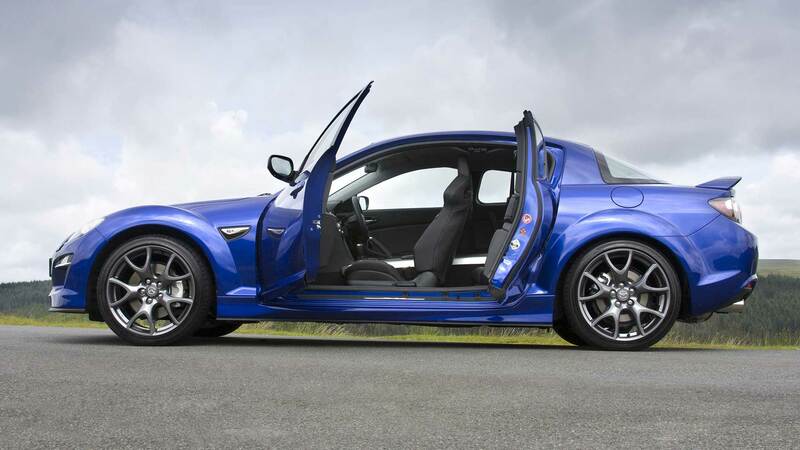 Butterfly doors are striking; frameless butterfly doors are the absolute business. Using a single-hinge design, McLaren’s signature dihedral wings were the first of their kind. And, because of the floating glass, the 12C Spider convertible was able to retain the coupe’s upward-opening mechanism.